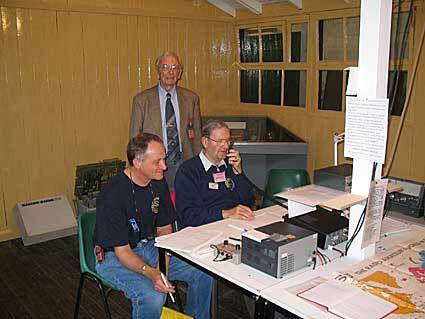 12th November 2007 Added Chris Hammett/G3AWR Archival Report. 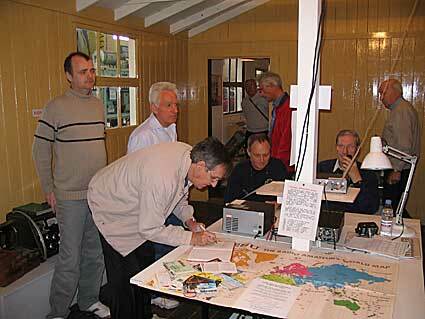 Amended script to GB5HF Station photos with Martyn, G1EFL. Added photos taken by Brian Oldham. Added the report & pictures. 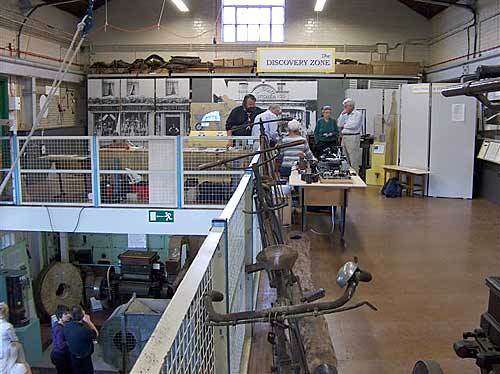 Chelmsford Science & Industry Museum is open to the public on selected days during the year & this event was to celebrate Marconi's Birthday which is on the 25th April. 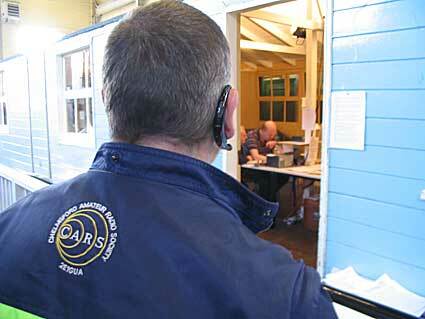 CARS was invited to provide an Amateur Radio Station to show the public what personal radio communications is all about. The day was warm and came after 3 weeks of good weather with virtually no rain (bad for the gardeners & farmers). 492 members of the public turned up in a steady stream all through the day so no event was heavily overloaded as had happened previous years - thanks to the consistant good weather. 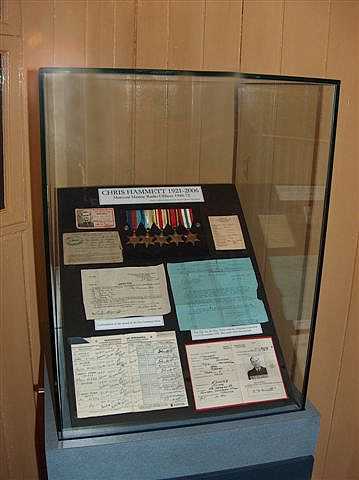 Many of those who attended had connections with Marconi in Chelmsford or nearby or other allied industries and therefore appreciated the many displays. The 2MT (Emma Tock calling) Hut which was used for the first Broadcasts in 1922.
many thanks for permission to publish them. 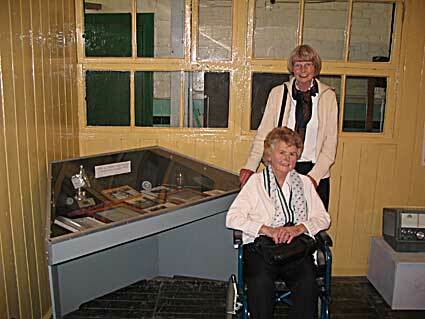 Visitors looking at the many displays provided by Friends of the Museum. 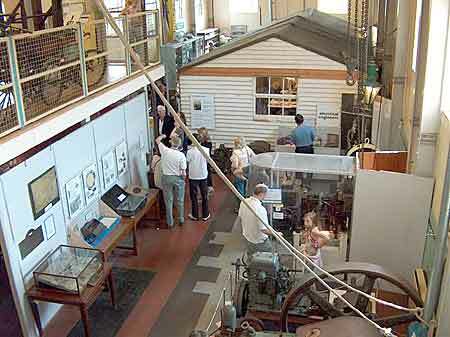 The Open Days also attract visitors, often with children, who may never have realised that Chelmsford created much of the technology which people now take for granted. 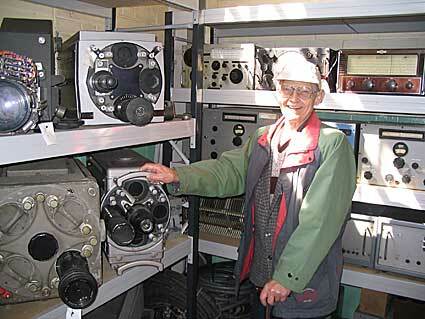 CARS provided an HF station in the 2MT Hut using the Special Event Call-sign GB5HF in celebration of Harry Heap, G5HF, CARS President who is 90 this year. CARS used the usual the long-wire aerial over the water course which surrounds the Mill. This contributes enormously to the strong signal which radiates from this site however this does not completely overcome the Sun Spot low cycle still which contributes to poor propagation conditions. 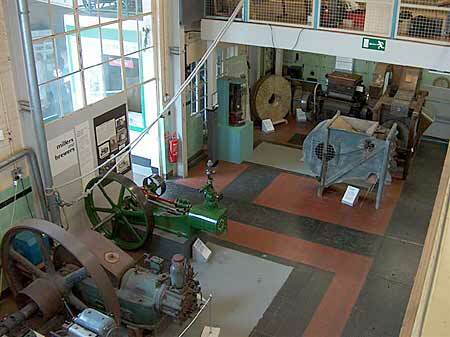 Dr Geoff Bowles, Keeper of The Science & Industry Museum - live! that he was already in there from last year. at the upstairs station while mobile on the A12. Tony, G4YTG looking on with John, G3VMJ to the right. Visitors Tony Lodge, Jim Salmon, M3RMI operating, Andy Blaumom, M3TIU Logging, Ann (Wife of Jim & the excellent tea provider) & Jenny Sullivan (Ex Mullard). 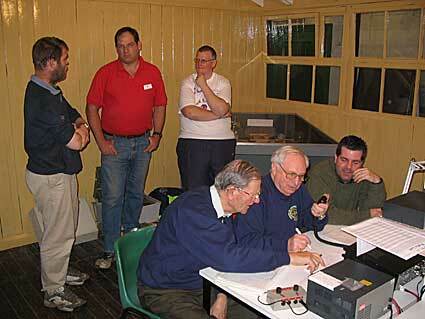 Jim was in QSO with Peter Best, G8BLS (from Ipswich). 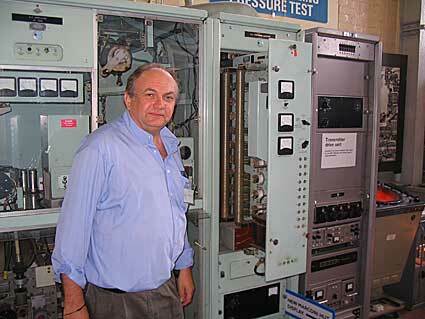 Peter was with BT on the Microwave Group, Eastern Region for many years and is known by many Amateurs. At this time Peter was operating a SES from a Scout Camp in Suffolk. Visitors Chris & Jenny Sharpe from Danbury looking at Jim on the microphone. 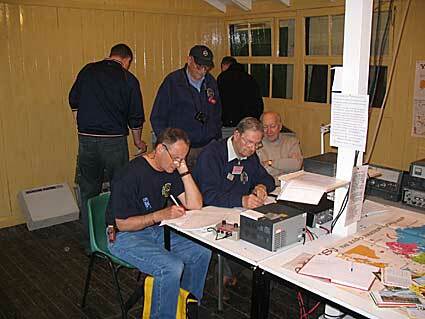 Whilst the 2 stations were "on-air", Geoff, G7KLV & Colin, G0TRM provided their now annual Morse demonstration. Members of the public (usually children) were encouraged to type a message on a keyboard which produced a Murray Coded punched tape. This was fed into a Tape Reader & the result was transmitted to a Morse Undulator situated at the other end of a long table. There the original message was produced on a tape for them to take home. 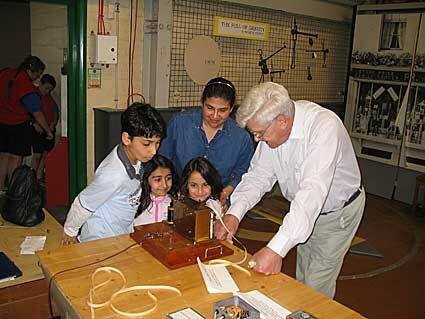 Transmission demonstration. Chris G0IPU is on the left. Visitors Jenai (left), Jehan (centre) and Jasmine with Naheed Chinoy looking on as Geoff, G7KLV produces the tape message they had just sent. Photograph published with kind permission of Mrs Chinoy. At the rear of the Marconi Hut the Friends of the Museum have erected staging with many Marconi radios and TV Cameras on it. A visitor commented "I designed that handle on the Mark IV TV Camera. I did it in 15 minutes and a few days later it was made in cast aluminium". 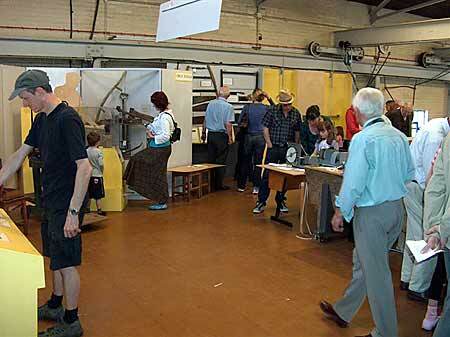 His name was Mr E J Cooper who was a Design Draughtman in Baddow from 1943 on. Mr Cooper on the handle he designed. 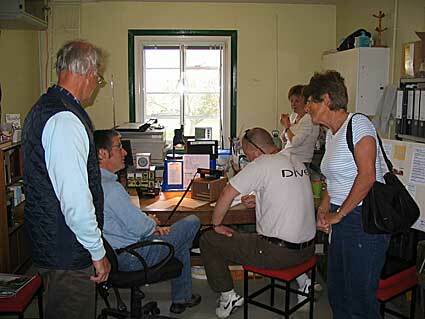 Opposite the 2MT Hut is a 30KWatt Transmitter. Chris Baker, G4LDS from Witham, used to test these TXs and spent quite a time telling members of the public all about the equipment. Thank you Chris for Hosting. 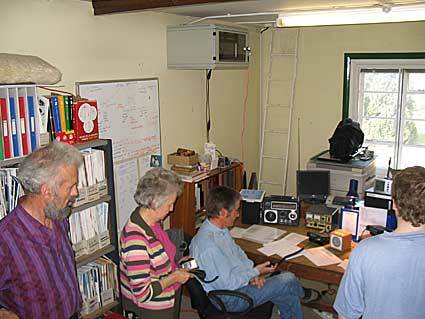 Chris Baker, G4LDS with the Drive unit out on the 30KWatt TX. 3Watts came in & 1KWatt came out to go to the Power Amp next door. 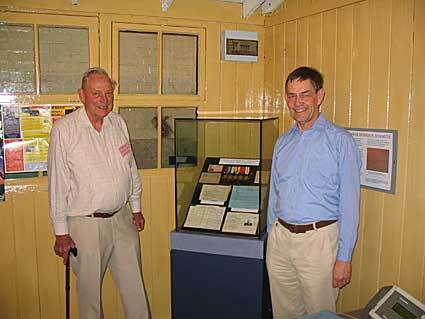 Vice Chairman Charles and Son-in-Law, Brian Oldham, by the Radio Officers' Association memorial display to the late Chris Hammett/G3AWR (1921-2006). 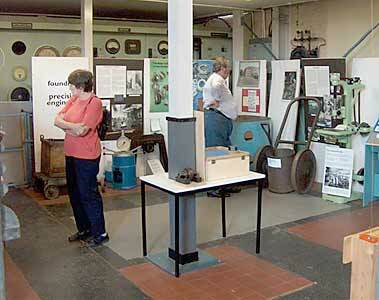 The display forms part of the ROA exhibition which is featured within the Museum's Marconi Collection. 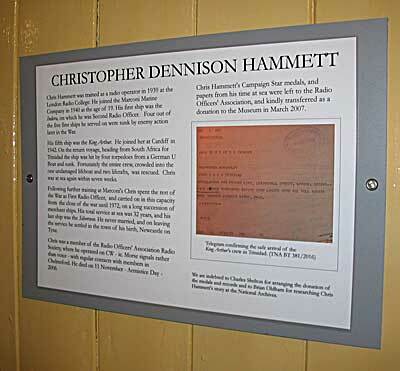 Brian is a Military Historian, with a desk at the National Records at Kew and had researched much of the information about Mr Hammett which is displayed to the right and below. For historical interest the Research Report on the life of Chris Hammett/G3AWR is available with kind permission of Mr Brian Oldhham in PDF Format, below. To put it in context a "Foreword" by CARS Vice President, Charles Shelton, G0GJS is also available in PDF Format. Click here to download the "Foreword". It is an Adobe PDF Format of 6kBytes. Click here to download the "Research Report". It is an Adobe PDF Format of 32kBytes. Having read either of the two files above, use your <- or click your "Back" Button on your computer. Do NOT click the X to Close the Browser or you will loose the link. The Chris Hammett Display Cabinet. Ronnie, Wife of Vice President Charles & Celia, her Daughter. James, 2E1GUA with the CARS Crest on his back looking at the GB5HF Station. 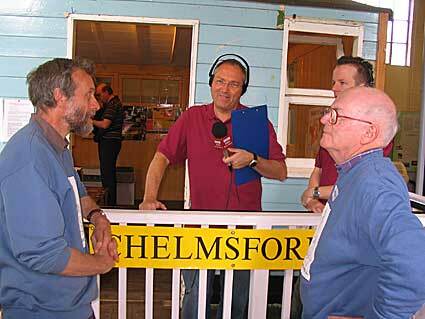 Malcolm on the microphone while the others are in deep conversation!.